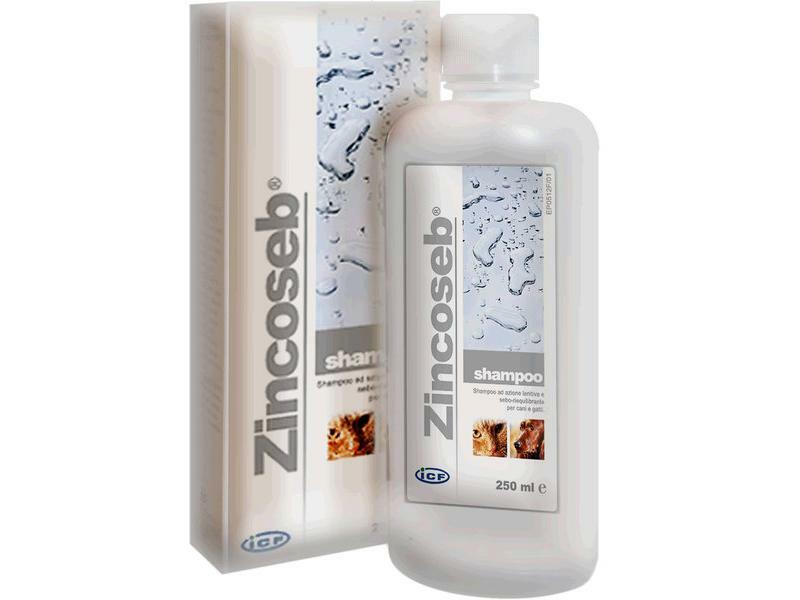 The fantastic Zincoseb Shampoo from Vetruus is great at cleansing the skin and coat and maintaining great skin and coat condition. Enabling direct application to the skin, Zincoseb is superb for treating dry flaking skin, degreasing oily skin and coats and as part of the management of bacterial skin infections. It also exfoliates, soothes, has an antibacterial action and helps skin regenerate. A great product, this mildly scented shampoo is also great value for money. Colloidal sulphur helps to degrease and regulate skin secretions, to maintain skin health and cleanliness. Salicylic acid has keratolytic properties and selectively breaks down keratin protein chains present in the outer skin layer. It also helps to open up clogged skin pores. Chlorhexidine digluconate has a cleansing antibacterial action. Coconut Diethanolamide is a foaming and emulsifying agent, rich in omega3 and omega6 fatty acids. To help degrease an oily skin and coat. Where cleansing of the skin is required as part of the management of bacterial skin infections. Rebalances: counters both oiliness and dryness. Cleans and moisturises the skin and coat. Mildly scented – helps to eliminate bad odours. Wet the coat with lukewarm water and apply the shampoo. Massage all over the body and leave for 5-6 minutes. Rinse with lukewarm water and dry well. Repeat once or twice a week for at least 3-4 weeks, as required. 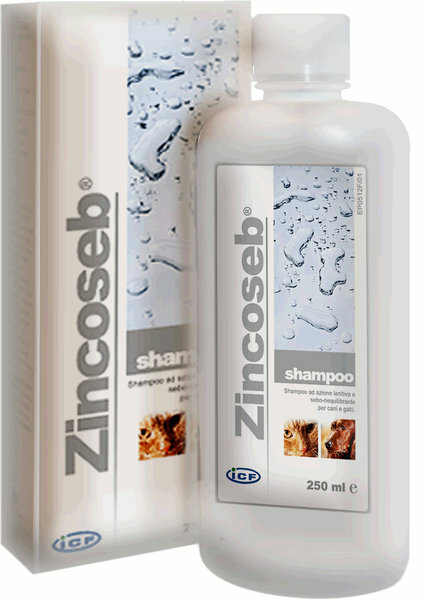 There are currently no questions for Zincoseb Shampoo - be the first to ask one!